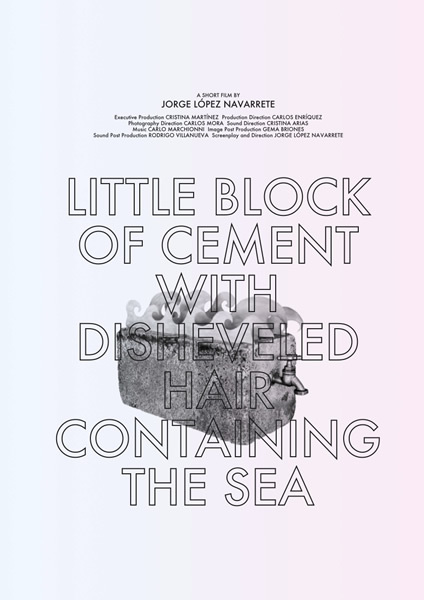 Much more than a love story, “Little block of cement with disheveled hair containing the sea” is a story of needing, of searching, and, above all, of coexisting. The idea of romantic love, in whose name we decide to share our life with someone, often masks other types of needs that have no relation with a firm belief in mutual and unconditional surrender as the ideal manner of living. Nevertheless, the decision to come together and share our life with another person, despite innumerable disagreements, eventually provides a valuable experience for both parties. The dog and the mare are metaphors for two very different people who decide to share a life journey. The reasons why such events happen are not always clear, which is why I did not want this to be the sole metaphor used to recount events. Thus, the title introduces an additional metaphor which connects to the emotional situation of one of the main characters, in this case the dog, while admitting the difficulty of encapsulating the entire experience in one simple accurate representation.